Welcome to the website of Summit Hill Junior High School. We serve students in grades seven and eight. Please navigate through our website to learn more about our school. Be sure to check out our Parent/Student Handbook. 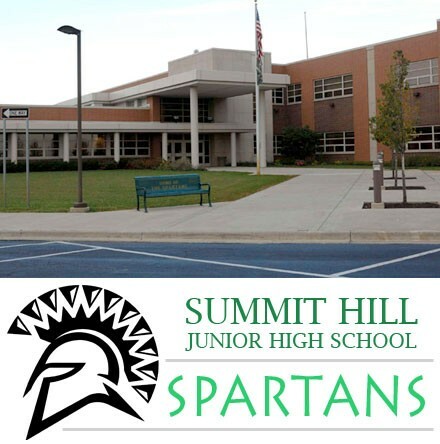 Within a safe and nurturing community, the students, staff, and parents of Summit Hill Junior High seek to foster personal and academic excellence, treat one another with dignity, respect our environment, embrace diversity, and develop character that merits trust and honor. We encourage positive risk-taking and perseverance in pursuit of our goals. Thank you for your patience and understanding as we work to make this process safe for your child. If you have any further questions, please call us at 815.469.4330. Cars will pull up along the driveway alongside the school. Drop offs will occur just past the pavilion. For reasons of safety, at no time may students cross from the parking lot to the school building. Students are to remain in the car until curbside by the pavilion. After school, pick up will take place in the WEST parking lot. Pick-ups will occur along the curbside beginning south of the pavilion with the lead car pulling up to the security cone. Please pull up to the sidewalk in a single file line and teacher - supervisors will assist you in locating your child. At no time may students cross from the school building to the parking lot. At no time may students enter the parking lot. Drivers may not park in the lot and then leave vehicle to get their student. All vehicles must wait in line to pick up their student. In an effort to reduce traffic congestion ALL bus routes will enter and exit using the EAST lot (closest to Harlem). No student pick-ups are allowed in the front lot. If you are picking up your child early from school and will be signing him/her out, you may park in the EAST lot and enter the building in order to sign out your student. Students who will be walking or getting a ride to school are to use the WEST parking lot. Students riding bikes are asked to lock their bike at the bike rack. Students are not allowed at the bike rack during the school day. Bikes are to be walked once on school grounds. Bikes must be taken home at the end of the day. A student may not call him or herself in as absent. A parent/guardian must call a student in as absent. Begin by identifying who the caller is (parent of...), leave the child's name, reason for absence, grade level and if the student is requesting homework. If the child is attending a court hearing, a doctor's appointment, dentist/ortho appointment, a funeral or has a doctor's note to be excused, this MUST be submitted to the school in order to excuse the absence. Should you have questions regarding an unexcused and excused absence, please contact the school office. Our voice mail is available 24 hours a day (815) 469-4330. Messages will be delivered to your students during their lunch periods. If there is an afternoon message, it will be delivered during their 9th period via P.M. announcements. Please understand that messages called in after 1:45 P.M. or "just a reminder" messages are more difficult to get to students since it is so close to the end of the day. Parent drop off items should be placed in the drop off cart located in the main office. It is then your student's responsibility to retrieve those items from the office. If there is an unexpected delivery, we will contact your student during lunch or during p.m. announcements. We do our best not to interrupt class time. 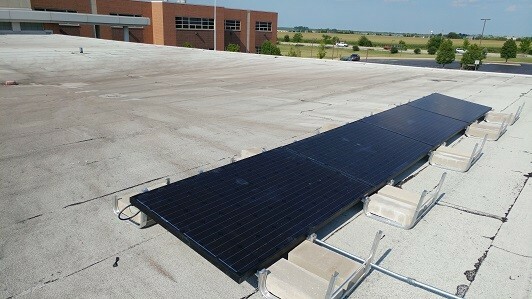 SHJH was awarded a grant in order to have a solar panel installed on its roof on the south end of the building (near door 2). Students will be able to access solar data to use in their studies. This initiative supports Next Generation Science Standards and supports critical thinking through data analysis. For more information and solar data, please click here.